U.S. Sen. Ted Cruz (R-Texas) who is also a Republican Presidential hopeful has issued a statement yesterday regarding a letter that Cruz, Sen. James Lankford (R-Okla.), and Sen. Mike Lee (R-Utah) received from Fadi Chehadé, CEO of the Internet Corporation for Assigned Names and Numbers (ICANN) on Friday over his involvement with the Chinese government. Chehadé did respond to the letter, but Senator Cruz isn’t impressed with his answers. Either the World Internet Conference and the People’s Republic of China have misreported the events that took place during their own conference or Fadi Chehade isn’t being completely honest with the United States Senate. While Chehade continues to state that his first meeting won’t take place until later this year, the Xinhua News Agency, the official press agency of the People’s Republic of China, reported on December 17, 2015 that, ‘The advisory committee held its first meeting on the sidelines of the second World Internet Conference in Wuzhen of east China’s Zhejiang Province. Jack Ma, founder of China’s Internet giant Alibaba, and Fadi Chehade, president and CEO of ICANN, act as co-chairman of the advisory committee.’ It should also be noted that Chehade has admitted that he has entered into an arrangement while still serving as the CEO of ICANN and performing under a contract with the United States government, through which his future travel costs to the Chinese government’s state-sponsored World Internet Conference will be compensated. Travel compensation from the Chinese government can be a form of personal conflict of interest, which could impair Chehade’s ability to act impartially and in the best interest of the government when performing under the contract. 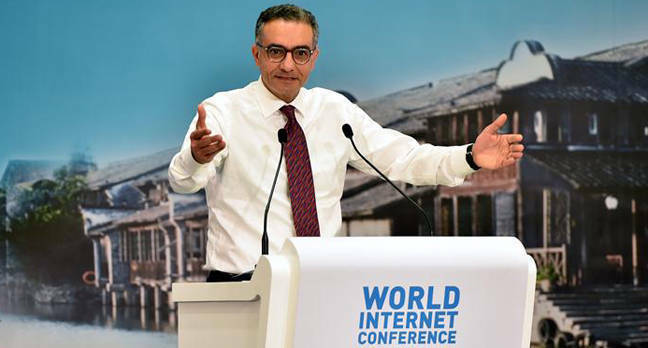 As such, Chehade should recuse himself from all ICANN decisions that could impact the Chinese government, which include all negotiations and discussions pertaining to the Internet Assigned Numbers Authority (IANA) transition.